Chan, CC, Chuang, KJ, Chen, WJ, Chang, WT, Lee, CT, Peng, CM, 2008. Increasing cardiopulmonary emergency visits by long-range transported Asian dust storms in Taiwan. Environ Res. 106, 393-400. Roursgaard, M, Jensen, KA, Poulsen, SS, Jensen, NE, Poulsen, LK, Hammer, M, Nielsen, GD, Larsen, ST, 2011. Acute and subchronic airway inflammation after intratracheal instillation of quartz and titanium dioxide agglomerates in mice. ScientificWorldJournal. 11, 801-825. UK HPA. 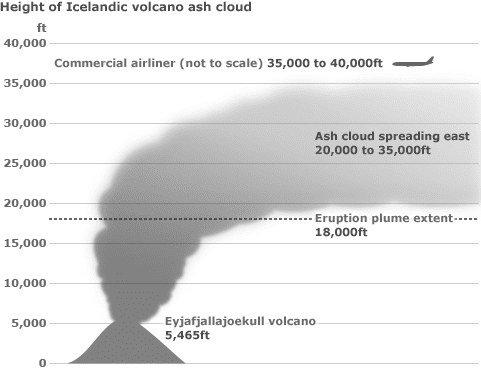 Paper on the possible effects on health of exposure to volcanic ash and associated gases. Available: http://www.hpa.org.uk/web/HPAwebFile/HPAweb_C/1274089597960. van Berlo, D, Wessels, A, Boots, AW, Wilhelmi, V, Scherbart, AM, Gerloff, K, van Schooten, FJ, Albrecht, C, Schins, RP, 2010. Neutrophil-derived ROS contribute to oxidative DNA damage induction by quartz particles. Free Radic Biol Med. 49, 1685-1693.